AICA, the Italian Garage Equipment Manufacturers Association, was founded on 9 July 1976 to represent industry professionals engaged in design, production and sales of plants, machinery and equipment for servicing, maintenance and repair of means of transportation. This extremely export-oriented sector has earned a worldwide leadership position thanks to its innovative products and the entrepreneurial abilities of many Italian SMEs, which, in some cases, have reached multinational status. The segment that manufactures machines for vehicle servicing is a niche and is a solid example of the excellence achieved by the national industry, its creativity, innovation, dynamism and production capacity, and acts as a benchmark for avant-garde technology in the auto repair industry. According to 2017 association estimates, the sector exported products totalling 2,515 million Euros and the share designated for export represented 81% of the total turnover. 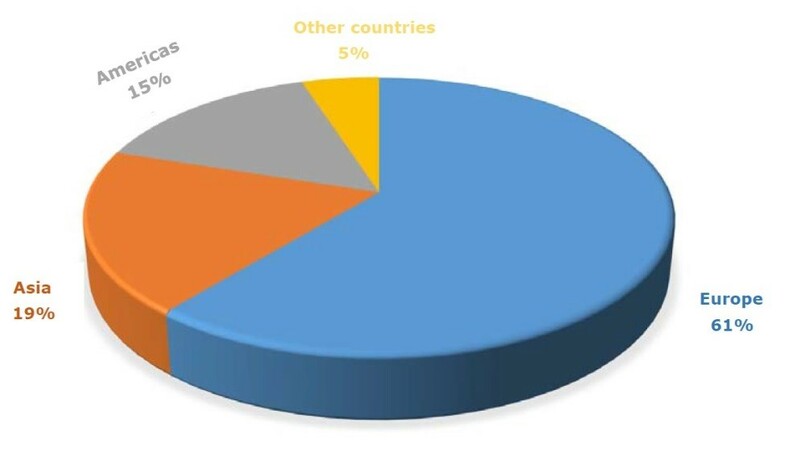 The main foreign markets for Italian garage equipment are located in Europe, which absorbed 61% of exports, followed by Asian markets with 19%, American markets with 15%, and the other markets with 5%. In addition to foreign markets, the domestic market continues to have a prominent role, and after an economic downturn in years prior to 2017, it eventually picked up and totalled over 588 million Euros. In 2017 the sector reached a total turnover (sales on the domestic and export market) of 3,103 million Euros. This impressive figure was achieved through the efforts of 15,610 employees. Production is concentrated mainly in Emilia Romagna, Veneto, Lombardy and Tuscany, which account for about 80% of the domestic turnover. AICA acts as a guide and link for its almost 81 member companies. Although these companies account for a third of the total number of producers in this business sector, they represent over 80% of the total turnover and of automotive professionals. AICA’ mission is to voice the demands of members by reconciling the different characteristics existing within a highly diversified industry made up of both companies with specialized small-scale capabilities and larger groups that have opened up sales and production branches in emerging markets.